I’m not one for resolutions. I just needed to get back to writing more this year, so I have. The name of this site (and my official mini-bio) is Dangerously Enthusiastic. That sums me up, as enthusiasm infuses everything I do. I got a new t-shirt with a motto that neatly summarizes what 2010 is all about for me. I am Getting Excited and Making Things. Here’s a quick list of what I dove into in January. Check out the posts you may have missed, give me the redux of what the posts you already read made you think of or inspired you to do, and let me know if you wrote anything in response that you want me to check out. Inspiring you to make stuff, see stuff in a new way and FEEL SOMETHING is the best work I can do. Jan. 4: A Walk Through the West Indies, Via Crown Heights. Restaurants, Part 2. Jan. 27: A Walk Through the West Indies, Via Crown Heights. Restaurants, Part 3. If you like the above posts, please become a fan of Mouth Of The Border on Facebook. Thank you all for stopping by to read. Hearing your thoughts and reading your responses is often my favorite part of writing. This entry was posted in Writing and tagged consistency, Writing. Bookmark the permalink. You’ve inspired me to clean my shop and loft for your visit on Saturday, and I can assure you that is not an easy thing to get me to do. I cannot even express how excited I am to come visit. It is going to be magnificent! Thank you, Sully. 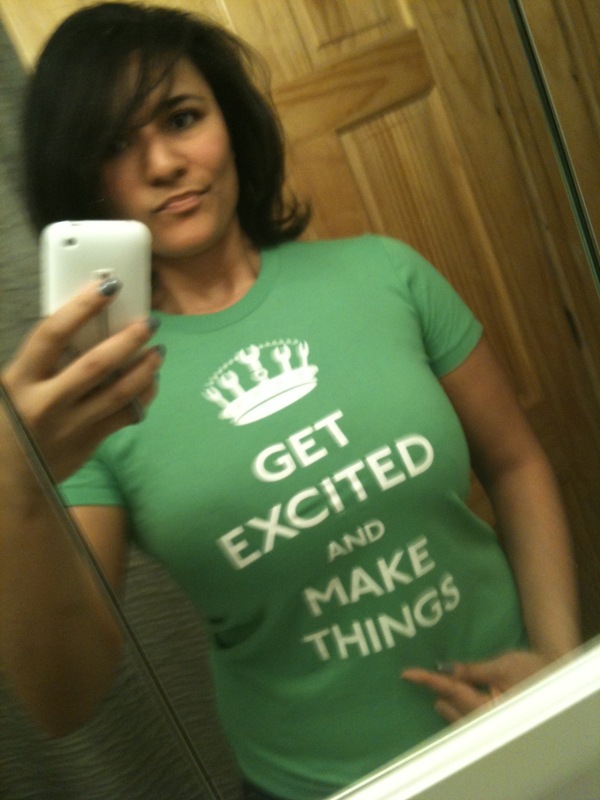 Oh sweetie, you’ve taken the “Get excited and make things” to a whole new level in January. And said energy is so damn contagious it would be obnoxious if it didn’t lead (me and others) to great things. February is going to be even hotter and, dare I say, #moreinteresting.